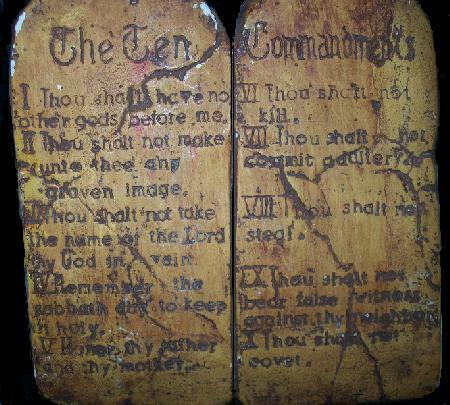 I made these tablets in Sunday School when I was a little boy. Don’t they look authentic? Note all the cracks and fissures in the tablets, and the clever use of Roman numerals.